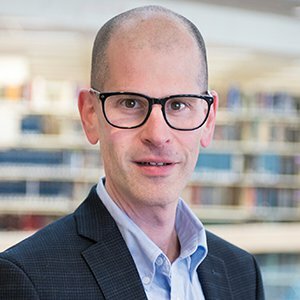 After joining the Department of Sociology and the Department East Asian Languages & Cultures in 2003, Ethan Michelson became affiliated with the Law School in 2008. An expert on law and society in China, Professor Michelson is the first social scientist to conduct rigorous empirical research on the Chinese legal profession. With a grant from the Ford Foundation, he conducted an intensive ethnography of a law firm in Beijing. His findings on how and why Chinese lawyers screen cases have been published in Law & Society Review. With a grant from the National Science Foundation, he designed and implemented a survey of almost 1,000 lawyers in 25 cities across China. His findings on the plight of Chinese lawyers—particularly criminal defense lawyers—and their innovative coping strategies have been published in the American Journal of Sociology. His findings on gender inequality in the Chinese bar have been published in Research in the Sociology of Work. Professor Michelson also studies popular grievances and what ordinary people do about them in urban and rural China. Findings from his surveys on real-life disputes in Beijing and over 30 villages in six provinces have been published in The China Quarterly, American Sociological Review, and several book chapters. "Gender Inequality in the Chinese Legal Profession." RESEARCH IN THE SOCIOLOGY OF WORK, Vol. 18. CHINESE JUSTICE: CIVIL DISPUTE RESOLUTION IN CONTEMPORARY CHINA, edited by Margaret Y.K. Woo, Mary E. Gallagher, and Merle Goldman. Cambridge, MA: Harvard University Press 2011. CHINA'S EMERGING MIDDLE CLASS: BEYOND ECONOMIC TRANSFORMATION, ed. C. Li. Washington, DC: Brookings Institution Press, 2010. "Justice from Above or Below? Popular Strategies for Resolving Grievances in Rural China." THE CHINA QUARTERLY No. 193, pp. 43-64, 2008. Winner of the 2008 Gordon White Prize for most original article or research report. "Dear Lawyer Bao: Everyday Problems, Legal Advice, and State Power in China." SOCIAL PROBLEMS Vol. 55, No. 1, pp. 43-71, 2008. "Lawyers, Political Embeddedness, and Institutional Continuity in China's Transition from Socialism." AMERICAN JOURNAL OF SOCIOLOGY Vol. 113, No. 2, pp. 352-414. "Climbing the Dispute Pagoda: Grievances and Appeals to the Official Justice System in Rural China." AMERICAN SOCIOLOGICAL REVIEW Vol. 72, No. 2, pp. 459-85. "The Practice of Law as an Obstacle to Justice: Chinese Lawyers at Work." LAW & SOCIETY REVIEW, Vol. 40, No. 1, pp. 1-38, 2006 (lead article). Abridged and edited version reprinted in WORKING IN CHINA: ETHNOGRAPHIES OF LABOR AND WORKPLACE TRANSFORMATION, edited by Ching Kwan Lee. Oxon, UK and New York: Routledge, 2007.